GPS technology has a huge number of different applications, from locating a stolen car all the way through to improving business efficiency. If your business has a fleet of vehicles or regularly sends employees out into the field, on call-outs or deliveries for example, then GPS tracking could benefit you. It can save you time and money as well as boosting customer service levels, reducing waste and improving efficiency. Won’t Your Employees Mind Being Tracked? Despite all of its many benefits, GPS can be seen as a spy device – which could get your employees’ backs up. Some may feel that they aren’t trusted or their movements are being watched because you’re unhappy with their performance. As a business owner, it’s important to tread carefully when launching GPS technology into your fleet of company vehicles. The crucial aspect is transparency. You need to take time to explain to your whole team exactly why trackers are being used, pointing to business efficiency, money saving and productivity boosting benefits listed above. Training and transparency will help to keep your drivers on side, so they understand why the technology is being implemented and don’t feel personally accused of anything. Ultimately though, it is your prerogative as the business owner whether to install trackers or not. If you’ve taken the time to explain the reasoning behind the change to your drivers and some still aren’t happy, there isn’t much more you can do. The driver has the choice to stay or not, although if the employee is particularly skilled and you don’t want to lose a valued member of the team – you can consider bringing in a third-party mediator to air and discuss grievances. 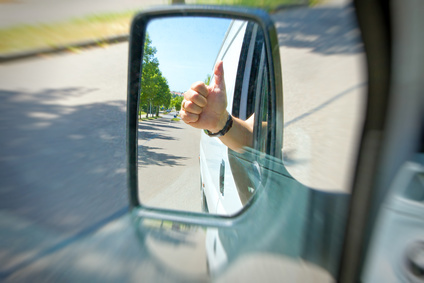 Some business owners may worry that they are breaching privacy or other laws by installing trackers in their vehicles. According to the law, it is perfectly legal and acceptable to install GPS technology into vehicles that you own. This means that you can put them in your business vehicles, ones which are registered assets of the business even if your employees use them for work. You cannot put them in cars and vans that your employees personally own, even if they use them for business purposes. You can also seek consent from employees to use trackers in their personally owned vehicles, but only strictly during working hours.The key point when installing trackers in company vehicles is that you are effectively monitoring the vehicle and not the driver. The vehicle is a company asset, so you will obviously want to keep tabs on it. You must also be careful of violating the privacy of your drivers while using GPS trackers. You should only activate trackers and monitor the data during work hours only. This means you (or your employee) must switch off the tracker at 5pm or whenever their work finishes. You may also need an agreement for lunch times. All monitoring must be strictly for business purposes, and you shouldn’t be sharing any information gleaned from GPS tracking with anyone else if it isn’t related to the business. Consultation with your employees during the drawing up of the policy can help to get them on side, as they will feel that their concerns and opinions are being listened to. It can also be a sensible decision to have your company’s solicitor take a look over the policy, just to make sure it meets the required standards and doesn’t miss anything out. When the policy is finished, make sure you communicate it to every member of your team and ask each employee to acknowledge their receipt and understanding of it. A great way to do this is with an online training package, a part of which is confirming acceptance of the policy. This achieves many important things at once – education, awareness, training and acceptance of the new policy. Then, when new employees start at the company, they will agree to the GPS tracking policy as part of signing their contract of employment and other necessary formalities. Last but by no means least, it’s very important to be considerate when launching and using a new GPS tracking system. You can communicate to your team that you aren’t trying to invade their privacy or gather evidence of any wrongdoing, and you will always do your best to be considerate and responsible when using GPS. All you are doing is for the good of the business, the future health of which will benefit the whole team.